XILS-lab has once again released another great version of the XILS synth, the XILS 4. The XILS 4 emulates the EMS VCS4, which was never released but quite sought after. 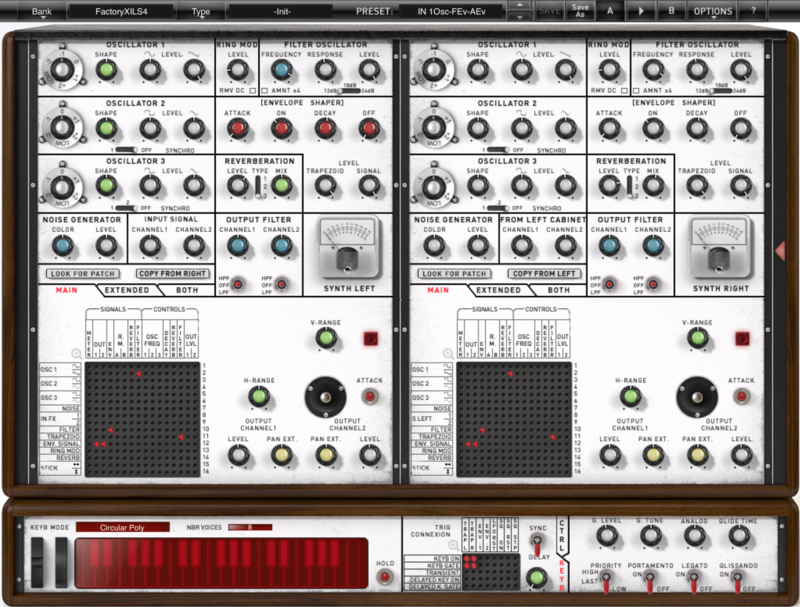 Based on two integrated, interlinked and interacting VCS 3 cores, it could create a wide variety of new sounds. The ability to do this as well as have the freedom of the pin matrix for processing allows for unparalleled freedom in creative sound design. I found XILS 4 to be identical in use as the XILS 3 V2, which I reviewed here. Thankfully, this made creating new sounds and exploring the new routing options simple. For a new user of the XILS synths, it will take time to understand the layout of the pin module and the basic patches needed to hear what you’re creating, but after conquering the basics, learning to create the sounds in your head becomes much easier. I loved toying around with the trapezoidal envelope. If it’s not your cup of tea, you can switch it to a standard ADSR control, but the trapezoidal setup came with its own unique tones on top of already captivating synth patches. Also quite pleasing is the effects built in. Adding a light touch of chorus or mixing in the reverb helped put a spotlight on the clean to even the heavy gritty tones. Controlling parameters using the joystick vector controller is another fantastic move by XILS-lab to allow users to make more unique and user controllable patches, even on the fly during performance with a hardware controller. XILS 4’s preset collection is massive and covers a wide range of sounds. The preset folders are a great place to start when looking to understand how to patch a sound and use the controls within the routing. XILS 4’s ability to control the amount of signal in a pin patch as appose to just a full signal send allows the mixing of sounds together easy. It’s even better when you can do this differently on the the second synth core to mix the sounds together, or even link the synths together. It’s hard to compare the XILS 4 to any other modular synth due to how expansive and completely controllable it is. There’s no doubt that this is one of the best values for sound design out there. XILS 4 is an easy addition to a synth collection that provides more control than any other synth available.